Sedes Sapientiae School is an independent, private, college preparatory middle/high school offering a Classical Education in fidelity to the academic, theological, and spiritual heritage of our Catholic Church. So, my 7th grader at Sedes Sapientiae School is already ahead of the curve! The times we live in feel biblical. Like His chosen people, God is preparing us and caring for us. His Holy Spirit is at work moving us to find new, faithful, authentic sources of education and worship. Our strength comes from Him and from our pared down and purified community. With this strength our children will enter into a broken and needy world. Jesus called us to be light for the world. There is a glow coming from Boonton. With Advent beginning this weekend, the Sunday Scripture readings begin to focus on preparation for the end times. Many people today look around and see the strife and wars all over the world and think, Surely the end times are upon us. A priest yesterday for his homily took a contrary position. The end times, he said, are still some time off. He noted the prophecies of many saints, which are not required by the Church to be accepted as part of the Faith, concur that today's troubles comprise a period that can be called a desolation of revolutions. This desolation of revolutions would be ended by a valiant king who will arise along with a great pope, who together will usher in a period of peace. He said that the prophecies of Fatima indicate that this victory of peace will occur in this century. That means today’s 15-year-olds stand an excellent chance of living to see this. However, things are likely to get worse before they get better. The forces of evil will not be vanquished easily or overnight. That means today’s 15-year-olds will first have to endure greater global tribulations before they enjoy world peace. And that means they need to be prepared not only to encounter the tribulations but to overcome them and be on the vanguard of the peace to come. In between all of this, they will need to go to college, graduate, get jobs. Their high school educations therefore can and should prepare them for careers and colleges, but if that is all it did, it will leave them vulnerable to the tribulations they will surely face. Yes, education should prepare them to be industrious and prosperous, but No, education can and must do more. It can and must also form them to encounter this turbulent world with courage and all the virtues, with logic and sound use of reason, with knowledge of human history and human nature – all founded on a clear and comprehensive grasp of God’s Love and Mercy, which are the manifestation of His Will, and which are revealed definitively in the Person of Jesus Christ, taught infallibly by His Catholic Church, and lived completely through a rich Sacramental and spiritual life. And that is precisely the mission of a classical curriculum imbued with the academic, spiritual, and theological heritage of the Catholic Church. For in the end, it is not getting into prestigious universities and a position with advancement at a Fortune 500 company and avoiding crippling debt – as important as these things are – that will keep our children out of hell and get them into heaven. Rather, it is not only preparing them for such pursuits, but more importantly for how they assess and pursue them, and the ends to which they order them, that will get them into heaven. Our teens’ responsibility will be to help usher in the coming era of peace. How well prepared they are is ours. Can you believe that Inc. magazine, the journal of business, the "magazine for growing companies," has an article on the value of speaking Latin for business success? Latin is one of those subjects that people often question when they look at a school with a classical curriculum. "It's not very useful for college or career," they might say. Or, "Mass is in English at our parish, why do we need Latin?" Latin is an integral part of the classical curriculum for a number of very practical reasons. Many English words have Latin roots, so understanding Latin opens up the world of English vocabulary. Also the study of Latin grammar increases a student's appreciation of and skill with English grammar. Both of these benefits of learning Latin translate into better verbal test results (such as on the SATs), and superior writing and speaking skills. 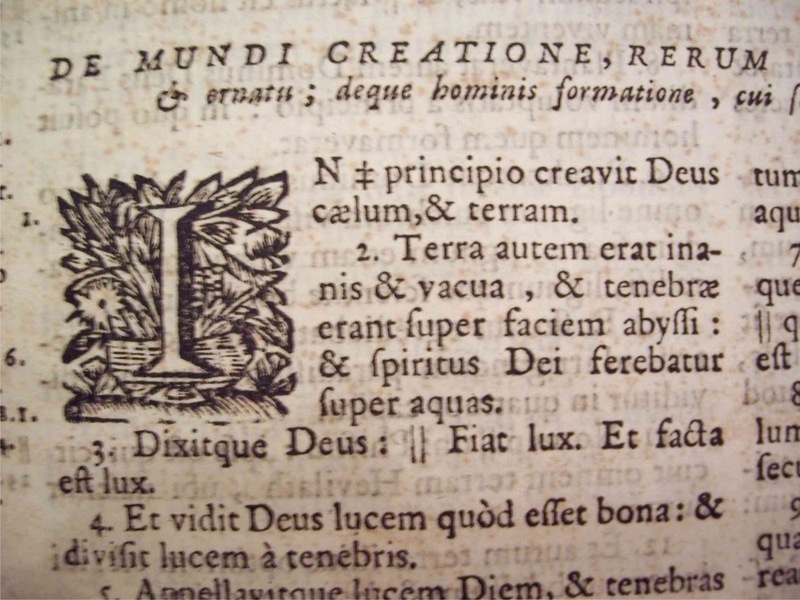 Latin is also handy for Catholics to know, because it is still the official language of the Church. Much is often missed in translation of Church documents, even the translations issued by the Vatican, while the Latin versions remain normative. A familiarity with Latin lets the faithful access "what the Church teaches" and "what the Church says" in a direct way. But not only Church documents. There is a rich heritage of literature and theology that has been written in Latin, subject to the whims of the translators into modern languages, which can become impediments to appreciating the authors' talent and insights. Latin means access. But for college? And career? Is Latin really useful at all? Wouldn't Spanish today be more useful? Or maybe Chinese? Let us see what this article on Inc.'s website has to say. This is from from Michael Ortner, the CEO and co-founder of Capterra, a website dedicated to helping people find the right software for their business. A computer guy. For centuries, Latin represented one of the core subjects of a quality education. In fact, knowledge of Latin may once have been the single best indicator of whether you were educated. As William Wallace's uncle Argyle points out in the 1995 hit movie Braveheart, "You don't speak Latin? Well that's something we shall have to remedy, isn't it." What happened to Latin? Most schools don't even offer it anymore, and the ones that do usually make it an elective. It was cut from core curriculums because it was presumably not viewed as practical in an age in which modern education has become all about utility. If the benefits are not immediately visible (i.e., there's no direct connection to getting into college and landing a career), then most students (and, unfortunately, also their parents) have no interest. Perhaps it's not that they have no interest, but that they have more interest in those subjects whose utility they can more easily perceive. Latin is a "nice-to-have" subject, but with limited time to study nice-to-have subjects, they concentrate on what they see as "need-to-haves." Still, there's something smart about people who know Latin, isn't there? What if Latin was the ultimate building block, the intellectual equivalent of cauliflower and carrots? What if studying Latin has very few direct, visible, short-term benefits but is the key ingredient to helping all of us think more logically, exercise better judgment, be less prone to deception, understand language more fully, and even be more virtuous? What if the study of Latin, more than any of the more practical fields of study like business, computer science, education, or biology, is the key to success for future business leaders, engineers, teachers, and doctors? Latin. For logic, judgment, discernment, understanding, and virtue. Mr. Ortner organizes these thoughts on Latin around the benefits of ability, acumen, and appetite. Starting with ability, Ortner says that the deductive reasoning necessary to learn and understand Latin fosters clear, logical thinking in everyday life. "It enables you to exercise sound judgment, think critically, and creatively problem-solve. It not only allows you to bridge the gap between two seemingly unrelated ideas but to distill data down to a core meaning, identify patterns, and think of solutions." He goes on to say, "Anything we can do to train the mind to think in a more deliberate and systematic fashion will help us achieve our fullest potential, regardless of our chosen profession. Learning Latin may very well be the best exercise for accomplishing this." Regarding acumen, he says in part, "Knowing Latin allows you to bypass the interpretation barrier [of translations] and gain a perspective closer to the source text. The wisdom held in these texts is as valuable today as it was thousands of years ago. It will lead you to consider what it means to live a good life and to question fundamental notions about knowledge, virtue, and truth." He mentions in particular Virgil, Cicero, and St Augustine as authors worth encountering in the original Latin. He connects this encounter to good judgment through formation in the poetry and philosophy of great minds. And he says this formation in turn "will buttress you against deceit or distraction—by competitors, co-workers, the media, politicians, and so-called experts—from what matters," thereby instilling "a valuable sense of perspective and an internal compass for right and wrong." The career value of acumen formed by Latin? "These ideas will inform the direction you take in your business, as well as the way you treat your employees, customers, and partners," and not to mention your neighbors and families. "And who couldn't use more help in these areas?" Once you encounter some of the classics that have endured the test of time, taking on the works of other great writers throughout history will not seem so daunting. And reading, studying, and appreciating Plato, Shakespeare, and Homer will only continue to open your mind to new ideas and questions that you had not considered before, better arming you to handle the daily challenges that you will face in your career. 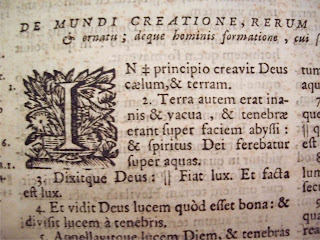 [Studying Latin] will inspire you to think through your own ideas about "truth," "goodness," and "beauty," which will open up whole new avenues for exploration. This appetite will seep into your business life. It will awaken your desire to make a mark and contribute in some way to humanity, which is really what entrepreneurship boils down to—the desire to have an impact on the world around us. Latin will inspire you to aim higher, and make the challenges you face seem eminently surmountable. It will cultivate your perseverance, humility, curiosity, problem solving, creativity, empathy, and decision making. Latin is, therefore, the heart of a classical education. Ultimately, Latin makes a job candidate much more attractive to CEOs like Ortner: "I'd much rather hire a great thinker who has never studied business than a business major who never learned to think well." Those of us who have ever held a job, or changed jobs, or started new careers, can tell you that every job has to be learned on the job. Someone who knows how to think, find answers, solve problems, and know right from wrong will succeed. It's also interesting to note how many of the great writers and thinkers that Ortner mentions are among the great works studied in a classical curriculum. Classical education imbued with Latin—the foundation of a lifetime of success at college, career, and life! What if students learned to drive the way many learn math? In other words, they ponder how math works with many never mastering how to do it. So, how many people pondered how their car works before learning to drive it? Did you know that many new cars have no mechanical connection between the controls the driver uses and the vital systems of the car, like the engine, steering and brakes? How does the engine actually work, and isn’t it quite amazing that it spins hundreds of times per second at cruising speeds? Do we bother pondering the suspension, transmission, or even the radio? But, what if student drivers were encouraged to ponder a car before learning how to drive it? There would be far fewer drivers on the road, that’s for sure. No, virtually all of us learn driving skills long before we learn auto mechanics. And don’t we all feel a little like we’re engaging mysteries of the universe when the technician says, “The mass air flow controller needs recalibration”? Right. Be able to add, subtract, multiply, and divide – even without understanding it, it will get most people pretty far in their lives with respect to math. Understanding can come later. In fact, the kind of thinking skills conducive to understanding math may actually come from other subjects – like philosophy, literature, and theology. The reasoning that goes on in these subjects – particularly in a classical curriculum school that employs the Socratic method – is a skill with universal applications. The skills of pondering and wondering and thinking are not precisely mathematical. In a classical curriculum, all the subjects relate to each other. The skills learned in one enhance the experience of the others. Or, it will mean that new schools will open who teach traditional math well. Families today are increasingly looking for educational options for their children. Instinctively, they understand that the stakes are very high. It is their very children that are to be educated – and their children’s futures that depend on it. As the children progress through the grades, the upper grades become all the more important. But why are families looking for options to begin with? The simple answer is that these families perceive in conventional, modern education a lack of a real understanding of the nature of whom they are educating and why they are educating them. The Catholic intellectual tradition rests on a deep conviction about the nature of school children and the purpose for educating them: Human beings are made in the image and likeness of God, and are created to be with Him forever. Education should be concerned with the overall formation of individuals who, if they are to be alive on this earth, must learn to discern – and order their lives to – truth, beauty, and goodness. Future careers, friendships, and families all depend on that formation. And while heaven has no entrance exam with questions on Euclid or Aristotle or Shakespeare, the manner of one’s life is on the exam. Learning from such masters forms the intellect to discern and order one’s life to truth, goodness, and beauty, which is to say, toward the manner of life that leads to heaven. A classical education enlightened by the academic, theological, and spiritual heritage of the Catholic faith forms students toward the only source of true happiness. It fosters the intellectual, moral, and theological virtues that lead us to grow more and more like Christ and that make us more fully human. Mere facts and skills, as important as they are for college and career readiness, are not the primary focus. Rather, classical education taught from a Catholic standpoint goes beyond facts and skills. It respects the dignity of the young person precisely as a human person. It connects students’ minds, hearts, and souls with the truths beyond the facts so that what they know will transform their lives. What we call a “classical” education was at its inception centuries ago called “liberal” education, from the Latin libera, meaning free in the sense of unrestricted by specialization. For instance, if one studies only mathematics, which is definitely a noble and important field, how will one be able to endow one’s future children with a sense of good and evil? How will one be able to discern beauty in entertainment choices? How can one tell truth from mere opinions or outright lies in the news or political speeches? With the experience of centuries in forming persons and indeed culture itself, liberal education was refined to provide students with the traditional tools of learning, equipping them to act in a free, intelligent, and responsible manner in all of their endeavors. It provides the foundational skills for success in any career (be it maintenance or mathematics) – but also for success as the best persons they can be. A liberal and liberating education frees students from the interior confusion of scattered experiences and opinions. It frees them to think logically and independently and to express themselves clearly. It frees them from manipulation by persuasive but false opinions. It frees them to enjoy eternal beauty against the fleeting fads and popular crazes of the day. It frees them to stand up for truth in the face of pressures and inducements to reject it. The two main goals of liberal education, which dominated education for most of the Christian era, can be summed up in two words: wisdom and virtue. Wisdom and virtue are essential in the formation of leaders and citizens of a free and just society. Wisdom and virtue inspire students to contemplate all that is true, good, and beautiful, and to apply what they learned to their lives. The Catholic Church took up the ancient tradition of liberal learning from the Greeks and Romans and oriented it toward Christ, baptizing it as it were, and in so doing united reason and faith. Liberal or classical education has thereby shaped some of the finest minds in history. Over the last century, however, schools have largely abandoned this tradition of success and took the modern factory and assembly line as the model of the educational process. Efficient in some respects, these methods are fine for making things, but people are not products. (One could wonder if mass production is truly “fine” for making things after all, and if the process dehumanizes not only the manufacturer but also the customer and their interaction – the sort of discussion that liberally educated people tend to pursue!) Products on an assembly line are not free, nor is the process to which they are confined ordered to their freedom. Quite the contrary, in fact. Modern education confines students and teachers to a process of assimilating unrelated pieces of information and overemphasizes grades, test scores, and external standards that are subject to political manipulation. What room is left in the contemporary classroom for faith and reason? Young people may lose heart in the spiritual confusion of our times when they are denied the chance to explore freely the meaning behind what they learn, and are prevented from developing the ability to discern what is true and what is false. The conventional model of education does not form children who are wise and virtuous. Rather, it produces children who are anxious because they are uncertain of what is true, and uninspired because they do not how to recognize and attain what is beautiful, and self-indulgent because they cannot discern what is good for them from what is not. All across the country, Catholic parents and educators have withdrawn from schools offering the conventional secular model, instinctively knowing something was amiss, but not always sure exactly what it was. More and more are discovering the richness and wisdom of a classical, liberal education as the antidote to a system that drains wonder and purpose from the lives of young people. Using the tools of the classical liberal arts tradition, and focusing on Christ, who is the beginning and the end of all wisdom and virtue, Sedes Sapientiae School provides an education that cultivates individuals who are free to be holy, happy, and healthy. The curriculum of Sedes Sapientiae School draws on the academic, theological and spiritual heritage of the Catholic Church to offer a classical, liberal education informed by the Catholic faith. It brings the growing classical education movement to New Jersey, to be a place where teachers are inspired to excel at their vocation, students enjoy learning, and the larger community flourishes in faith.